Sometimes it's okay to indulge, right? 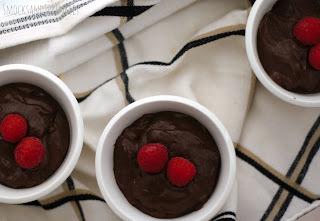 We're wrapping up our chocolate pudding series with a recipe that's delectable! 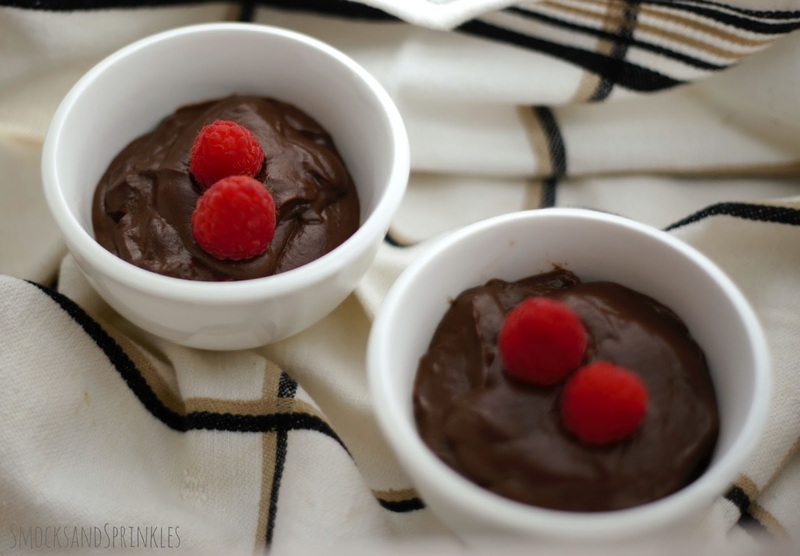 This chocolate pudding is rich, creamy and smooth. It's probably the most labour-intensive of our series, but worth it if you want to indulge in a guilty chocolate pleasure! 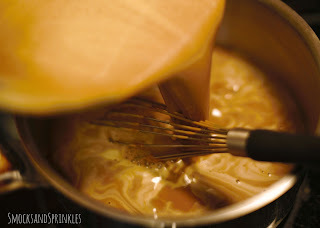 We adapted the recipe based off of one from The Kitchn, and added coffee for a grown-up flavour. Please pretend there is sugar in this photo. Tip! Use up the egg whites tomorrow morning in an omelette with spinach and cheese. Mmmmm! 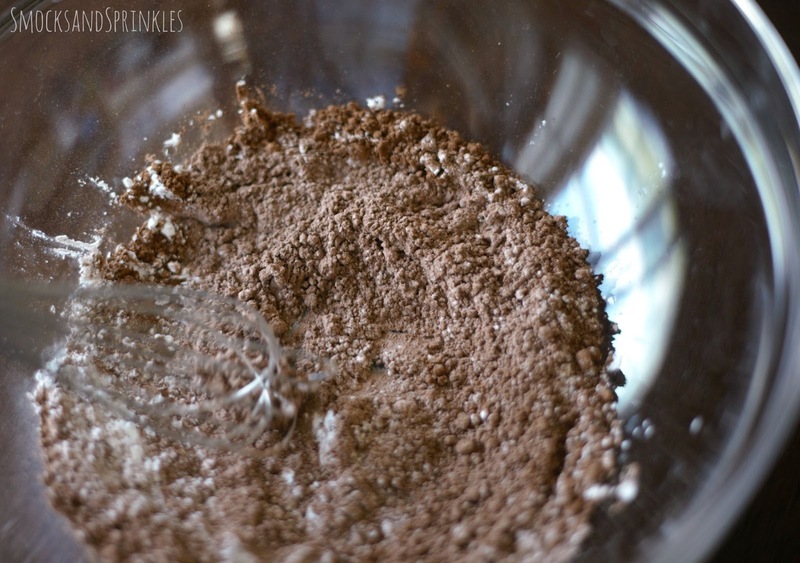 Mix dry ingredients (cocoa, cornstarch, salt) in a large, heat-proof bowl. 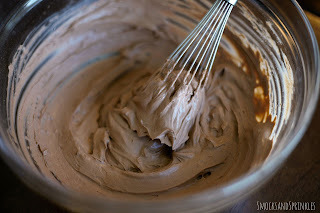 Add in the cream and whisk until mixture is thick and smooth (almost like chocolate mousse). 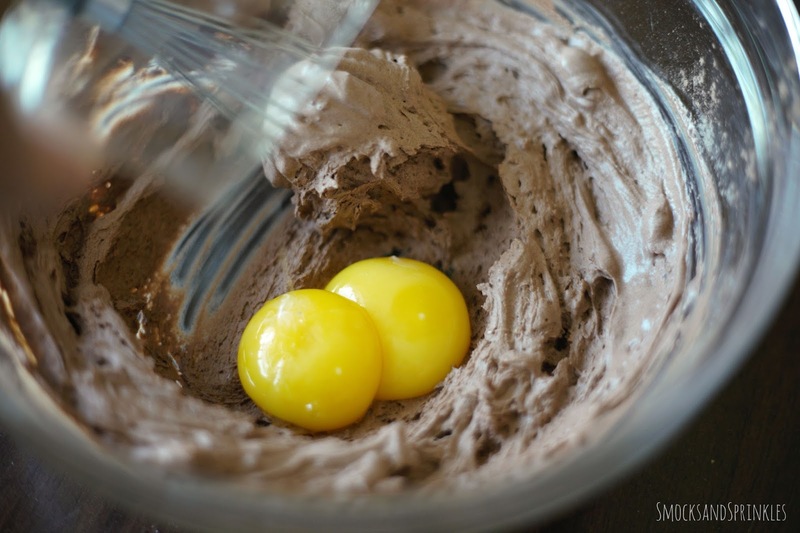 Drop in your egg yolks and whisk again until smooth. Set this aside. In a saucepan, heat up your milk, coffee and sugar. 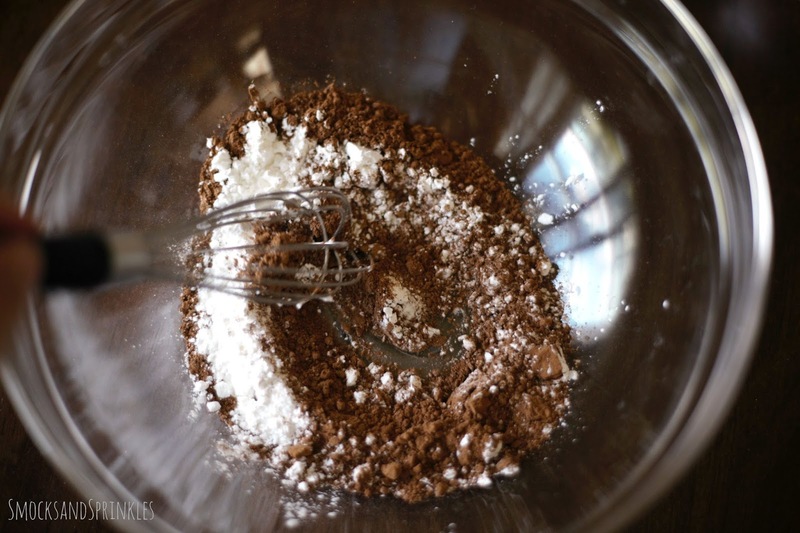 No need to boil or anything, it's just to dissolve the sugar. Once sugar is dissolved and milk is warm, pour about half of the milk mixture into the bowl with the other ingredients, stirring as you add it. Whisk until smooth again, and then pour this mixture back into the saucepan. Please excuse the terrible lighting in my kitchen! 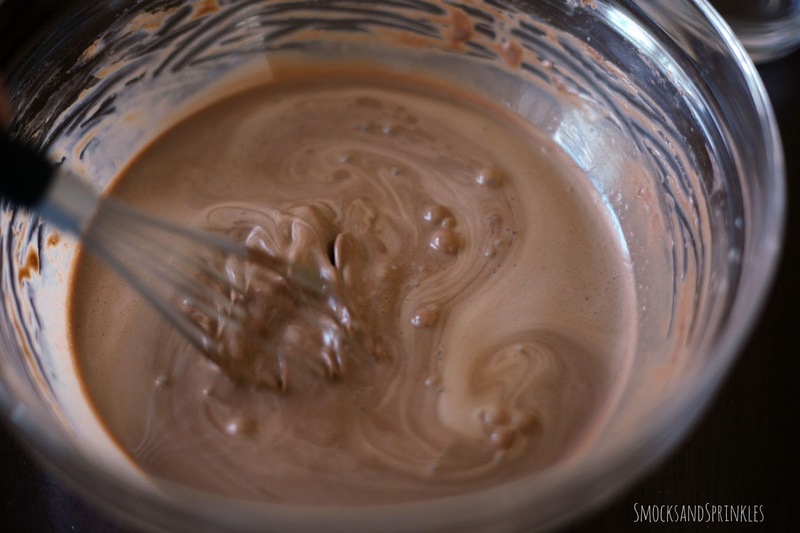 Bring your lovely chocolate pudding to a boil to thicken it. You'll see it bubbling. 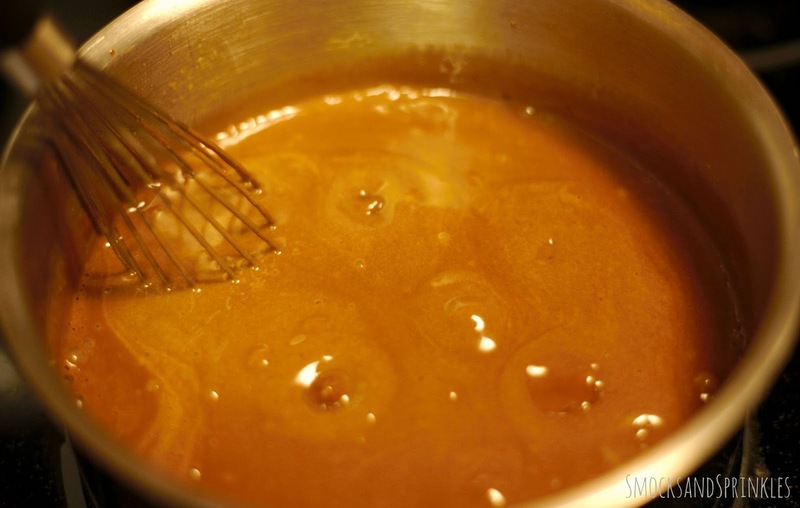 Let it boil for approximately 2 minutes while mixing continuously, and then remove it from the heat. 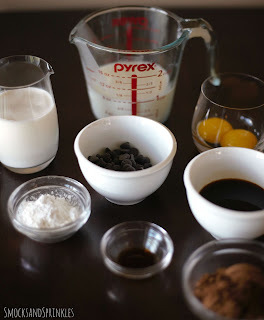 Do not leave the mixture unattended on the heat, even if your toddler decides to wake up early from her nap. Drop in the chocolate chips and vanilla and stir vigourously until chocolate is melted. 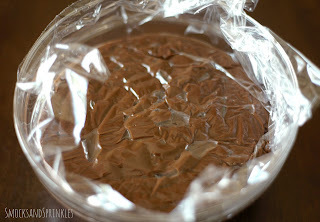 Transfer pudding to a bowl and cover it with saran wrap. Make sure the saran is actually in contact with the top of the pudding, so you don't get the pudding skin on top as it cools. Cool to room temperature, and then refrigerate for a few hours. 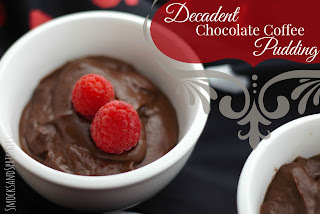 Serve with fresh berries and a dollop of fresh whipped cream. Tip! 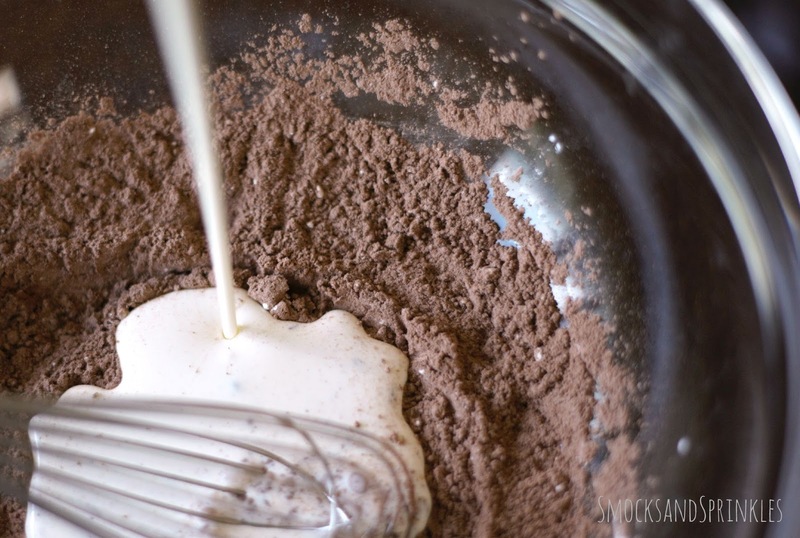 If you want a lighter, mousse-like texture, consider whipping up some more heavy cream (!!) 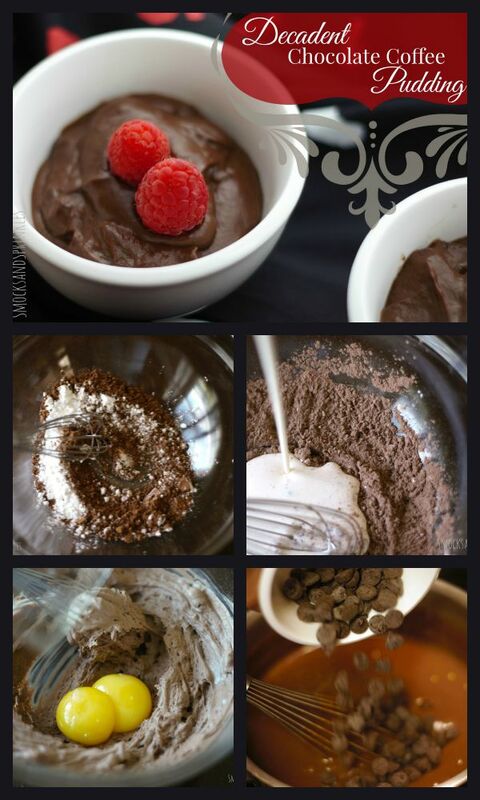 and folding it into the pudding. It's probably not the best idea to eat this for breakfast, lunch and dinner, but make it for your next dinner party! 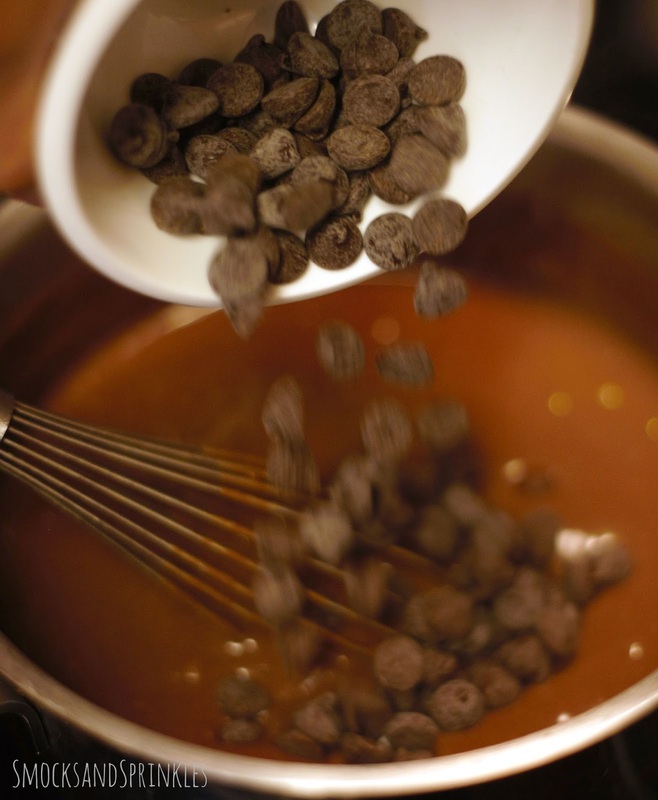 And let us know how many groans of pleasure you hear as your guests enjoy it!